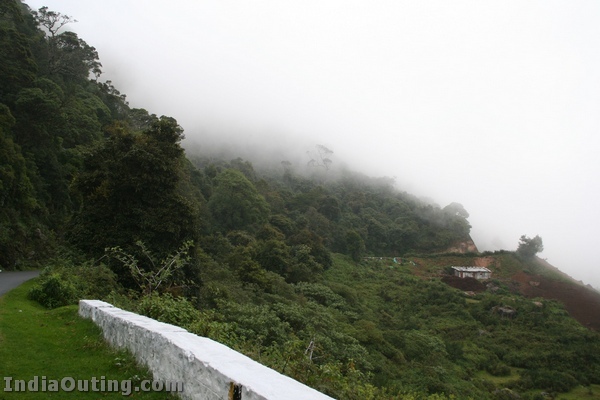 Coonoor is the second most popular hill station in the Nilgiris. The hill station stands at a height of 1839 meters and is known for its great picnic spots and picturesque surroundings. 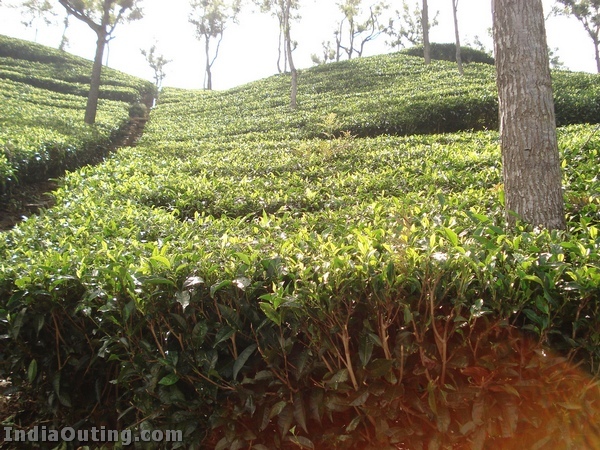 Coonoor is also famous for tea gardens and tea factories. Coonoor provides the traveler with the panoramic view of the lush green Nilgiri hills, with its ravines, valleys, and waterfalls. Bird watching is a popular pastime in Coonoor, as the area boasts of a large variety of species like cormorants, pipits, thrushes, parakeets, skylarks, Nilgiri verditer, etc. Travelers can take a walk through the tea gardens. 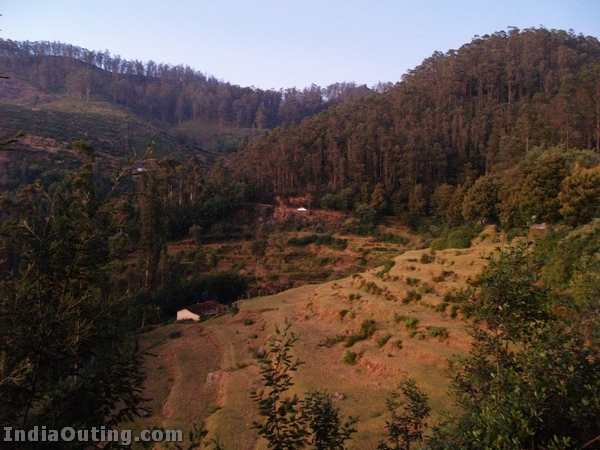 There are number of trekking and hiking trails around Coonoor. 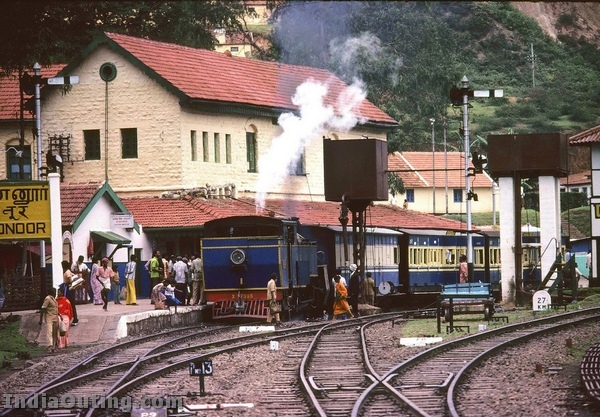 Travellers can enjoy the exhilarating and unique ride on the toy train that connects Coonoor with Mettupalayam (which Indian Rail spells Metupalaiyam) and Ooty. The trip provides some breathtaking views of the Nilgiri hills in all its natural glory. Route from Bangalore: SH17 to Mysore, NH 212 to Gundlupet; state highway to Coonoor via Bandipur, Gudalur, Ooty, Aravankadu, and Wellington. There are many signboards along the way from Mysore directing you towards Ooty. Once in Ooty drive through the city, there are boards along the way showing you the way. Roads are very bad after Mysore uptil Bandipur. The town has a number of autorickshaws or three-wheelers that you can hire to get around. Your hotel can also help you locate taxis that you can hire. The climate is so pleasant, however, that walking around may be the best option. Lower Coonoor tends to be very crowded but Upper Coonoor is blessed with less traffic and fairly good roads. You are in a hilly region – so expect to walk up slopes! Sim’s Park The park is situated in a deep ravine on the Northern side of Coonoor Railway Station at an elevation of 1768 to 1798 m. The park can be divided into eight major sections. The natural shola with winding footpaths all over the higher slopes of the park is the most distinctive and picturesque feature of this park. Lamb’s Rock It is 8 km from Coonoor on the way to Dolphin’s Nose. Laws Falls The Place is a beautiful picnic spot, situated at Coonoor-Mettupalayam Road at the distance of 7 km from Coonoor. The height of the falls is about 180 feet. 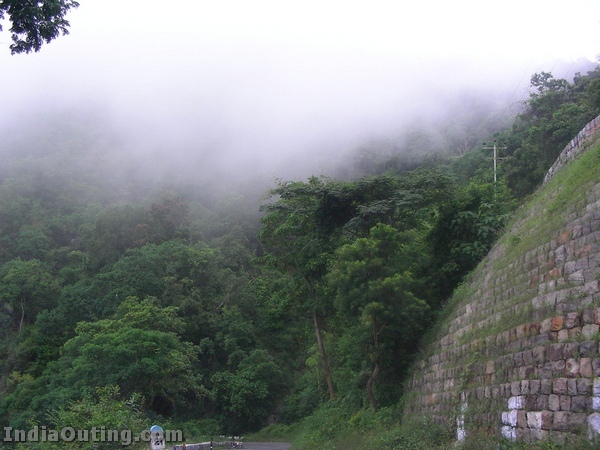 The Dolphin’s Nose Viewpoint Which is 10 km from Coonoor, is an important place to visit. It not only provides a panoramic view of the vast expanse of the Nilgiri hills but also of the famous Catherine Falls. Lady Canning’s seat is another notable viewpoint on the way. 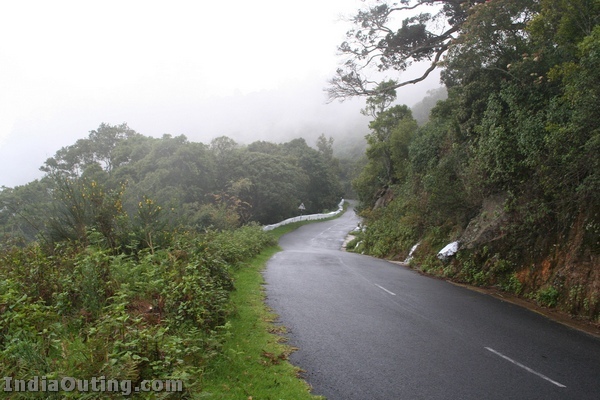 Take long walks to any of the villages situated around Coonoor. A walk by the tea gardens would be a memorable one. You can also take a walk to the Golf Links owned by Wellington Defence College. At Bedford, a few meters ahead of Taj Garden Retreat, on the Kotagiri Road, there is a quaint little furniture shop called Vriksh. This little store can be easily missed if you are driving past a little too fast. Tucked away into a little lane, at the bottom of a flight of stairs you will find intricately carved teak trunks, elegant side tables and ceramic work. They have tea sets and vases that remind you that the British were once here. According to the lady at the shop, all the furniture is locally made. They are fairly expensive, but is unique and worth it. However, before you buy one of their beautiful mirrors or desks you might want to know that they do not arrange for delivery… so how do you plan to take it back home with you? There are also other little shops, selling local produce like tea, honey, jams and preserves and some that sell beautiful embroidered linen. Ask at your hotel and they should be able to recommend the nearest stores or the ones they best recommend. For embroidered linen, my hotel recommended a place called “Needlecraft” in Singara Tea Estate. You can find exquisitely hand-embroidered pillowcases, cushion covers, bedspreads, bedsheets and handkerchiefs at Needlecraft, though they are steeply priced. wow!!!!!!!!!!!! what an coincidence.since i am going in december for my vacation.my family has booked tivkets for conoor.i think i am gonna enjoy it since i have seen the photos before going their.Thanks,guys for sending me such an beautiful snaps. U allready seeing in the pictures. 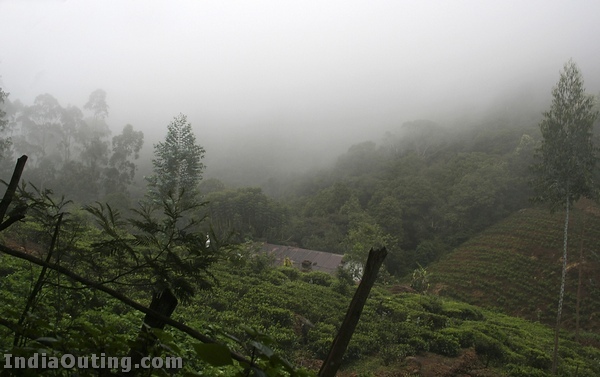 Coonoor photographed here is thedream land beauty place. ITS real. 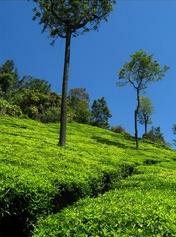 Coonoor is a very beutiful place. It’s like a dream land. It’s like concentration of beauties of nature at one place. I will never forget the days that I have spent in Coonoor. Wish to be there again. simply breathtaking & beautiful pictures. anyone want to join me. Indeed I have been priveleged to have been born and brought up in Coonoor. It has some of the best schools. Recently after the sudden demise of our father we sold our family property – a lovely bunglow with lush tea gardens and flower gardens (1/2 acre area) situated on a panaromic view. If you require the photographs of our house, I would glad to send it to include in your website. 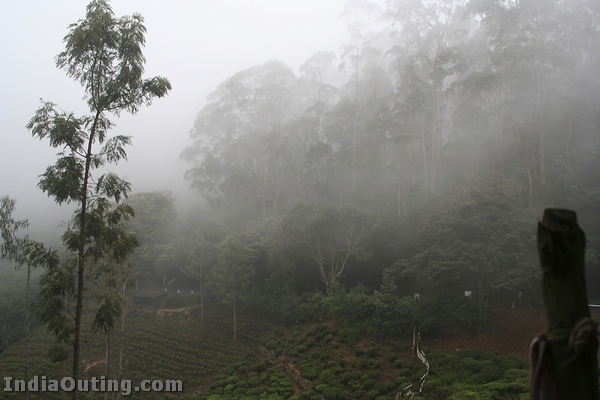 I would love to always go back to Coonoor to spend the evening of my life. i really enjoyed this pix…………..
A very beautiful place and the journey by this train to Ooty is absolutely fascinating..
A very useful information indeed. 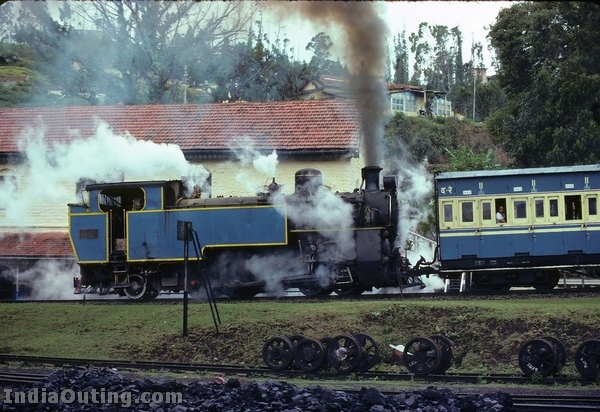 We had the privilege of living in Coonoor, when my father was a Post master in the local post office. There is a park called Shamanna Park opposite the post office, which is in no way inferior to the Ooty Botanical Gardens. When we were small, it was indeed a thrill to steal 2,3 flowers from the park and being chased away by the Watchman. We will never get it again. I am a resident of Mumbai now. Life goes on and on…. A very good & informative subject. With very good photographs it gives a better idea of the place. Thanks for your efforts. really superb.. i feel as if i was at coonoor.. thanx..
nice please i like it ……………. Coonur is one of the beautiful place in tamil Nadu. Can you get meet such information about Kothagiri, also in Nigiris and known as Swiss of Inida. It was an experience to be remembered and would definately visit again in future! I went in December’07 with my son, thoroghly enjoyed the exciting ride on this lovely train as it meandered up the beautiful hillside of this God’s country of the Southern Splendour! If you dont take this train ride then you have missed the whole opportunity, thats all I can say! Nice post. You have bought out the best. Would like to see more places in TamilNadu highlighted. Coonur is one of the beautiful place in tamil Nadu. We do not use polythyne in our life. what a beoooootiful place……I would love to stay here….if someone has a huge house and wants someone to take care of the place…I AM THE ONE !!! seriously…..all those holiday places locked up….I would be happy staying in a small place looking after the bigger one for the owners ! Gives me immense pleasure to see Coonoor photographs.Ofcourse, 52 years back I had my schooling at Coonoor, at St Antony’s High School. Ican’t forget those days.But now I understand that nature seneric beauty has come down a bit due to modern structures and increase in population. 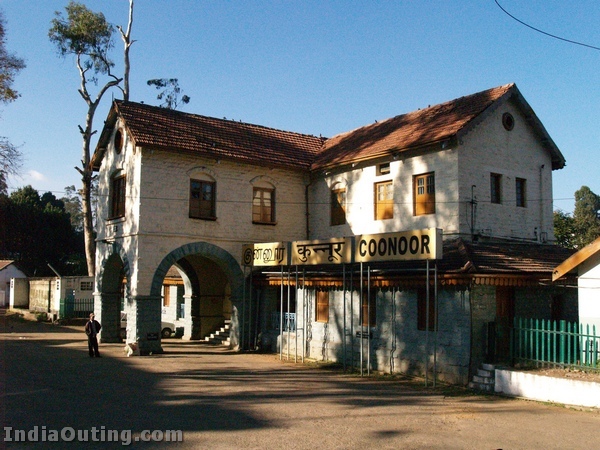 Any how coonoor is coonoor!! Nothing can be compared with that!!!! Hi,Guys I am the Travel Guide in and around coonoor and The Nilgiris.I am having beautiful cottages for ur accommodation and homely food @ Coonoor.Join me for any help in coonoor.